Yes, after ten years of looking at the back of coins in three different homes in two states, I have a complete of [moderately good conditioned] state-backed quarters, in a very Geeky paper coin holder thingy. I only need another five to have two more complete sets, but those are hanging out in a Ziplok bag. You win for completing your collection first! I’m still missing Alaska and Washington state quarters. 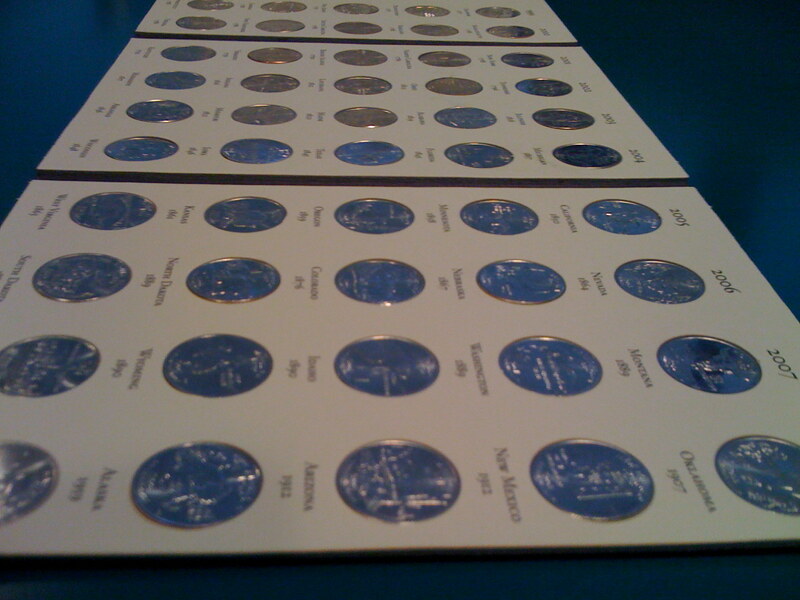 I enjoyed looking through my pocket change for state quarters for the past 10 years. As a kid I collected dimes, and I really couldn’t find anything in circulation before 1965 because collectors hoarded all the silver coins years ago. I had to buy my silver dimes at coin shows and the local coin dealer.